BRUSSELS -- Europe's car-emissions tests have been seen as inadequate for decades, a top U.S. regulator told European Union lawmakers on Monday, saying much stronger enforcement will be needed to stop cheating by automakers like Volkswagen Group. Testifying before a European Parliament committee investigating foul play on diesel-car emissions tests, the U.S. Environmental Protection Agency's (EPA) Christopher Grundler said new EU testing rules were far from enough. "The European test cycle has been acknowledged quite broadly since the 1990s to be inadequate," Grundler, director of the EPA's transportation and air quality office, said in a written answer to lawmakers' questions. "Our experience has been that a comprehensive approach is required that means testing vehicles in use as well as having the authority to then follow through enforcement actions." Brussels has proposed testing vehicles on roads rather than in laboratories after VW's use of a "defeat device" led to scrutiny of loopholes that allowed toxic nitrogen oxide emissions to reach up to seven times their European limits. NOx gases contribute to acid rain and respiratory illnesses which are blamed for hundreds of thousands of deaths globally each year. Asked whether the Real-Driving Emissions test would stop carmakers from cheating, Grundle said EU regulators "still have more work to do." Gaps still have yet to be addressed in checking vehicle compliance, he said, such as testing for the robustness of exhaust-curbing technology after vehicles have been in use for some years or for the amount of gases spewed out when the engine is revving up, the heaviest discharge. "It is not enough to have sound standards and sound test procedures," he told lawmakers. "How they are implemented in practice and the market surveillance aspects are also very, very important ... that is the main challenge." 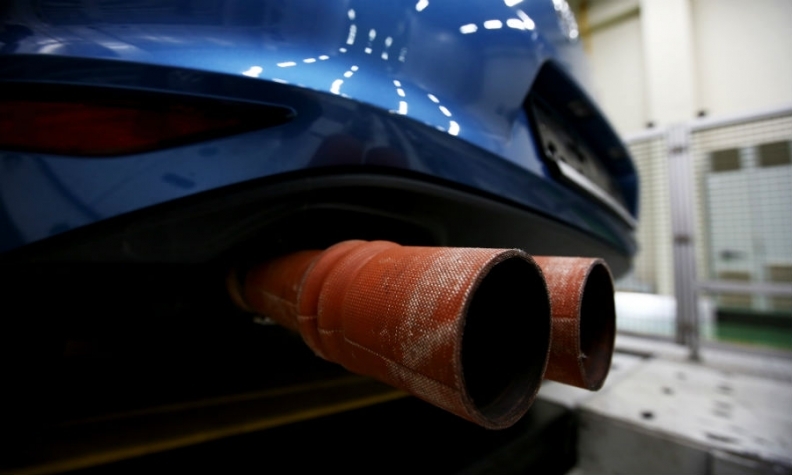 Automakers say EU law allows the use of software to shut-off technology that lowers tailpipe gases in order to protect a car's engine - an argument EU officials describe as disingenuous when it is triggered by everyday-road conditions. Grundler pointed to fines totaling $1 billion imposed by the EPA on the auto industry over the use of such devices in the 1990s as a "strong deterrent."